Written by a leading authority with an excellent reputation, and ability for writing a good narrative, Drug Discovery: A History is a far cry from simply a list of chemical structures. This lively new text considers the origins, development and history of medicines that generate high media interest and have a huge social and economic impact on society. 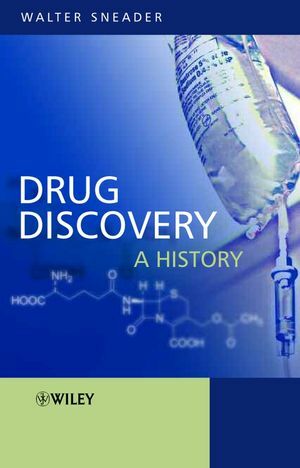 Set within a wide historical, social and cultural context, it provides expanded coverage of pre-twentieth century drugs, the huge advances made in the twentieth century and the latest developments in drug research. 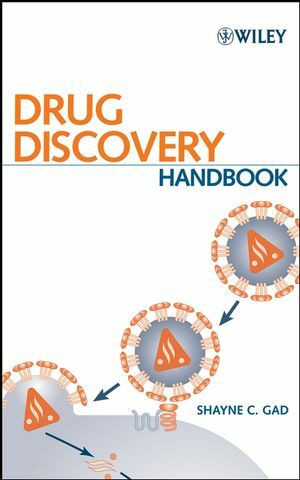 Walter Sneader is the author of Drug Discovery: A History, published by Wiley. Part 1 Legacy Of The Past. Chapter 2 The Prehistoric Period. Chapter 4 Greece and Rome. Chapter 5 The Arab World. Part 2 Drugs From Naturally Occurring Prototypes. Chapter 10 Non-Alkaloid Plant Products. Chapter 11 Plant Product Analogues and Compounds Derived From Them. Chapter 12 The Origins Of Hormone Therapy. Chapter 16 Adrenal Cortex Hormones. Chapter 21 Blood and Biological Products. Section III Drugs from Microorganisms. Chapter 24 Pharmacodynamic Agents from Microorganisms. Chapter 25 Analogues of Pharmacodynamic Agents from Fungi. Chapter 26 The First Synthetic Drugs and Their Analogues. Chapter 27 Drugs Originating from the Screening of Dyes. Chapter 28 Drugs Originating from the Screening of Organic Chemicals. Chapter 29 Drugs Discovered through Serendipitous Observations Involving Humans. Chapter 30 Drugs Disocvered through Serendipity in the Laboratory. "... the book is of great value for everybody wanting to get brief, reliable information as well as for those using it as a starting point for further research." Not simply a list of chemical reactions. Also includes social and cultural points of view. Includes vignettes of special and unusual information, anecdotes. Lively, narrative style and highly readable. More comprehensive than other volumes on history of drugs.